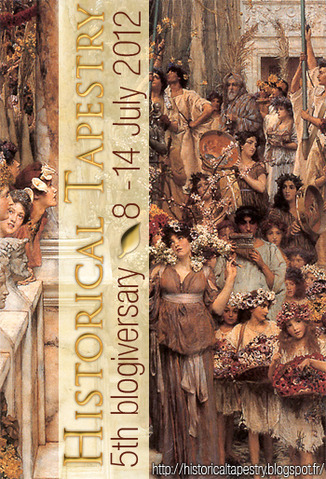 Today we are pleased to welcome Mary Tod to Historical Tapestry. 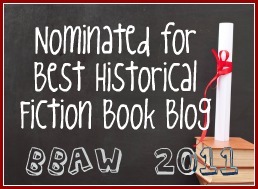 A few months ago now, Mary ran a comprehensive survey of historical fiction fans and we were very honoured to see that Historical Tapestry rated very highly as a historical fiction blog. As part of our blogiversary celebrations, we asked Mary to share a few of the insights that she has learned from the survery results. The kind folks at Historical Tapestry asked me to share thoughts about changes to my writing plans based on insights from the historical fiction survey I conducted. A chance to guest post combined with an opportunity to step back and reflect – who could ask for more? First a bit of background: I currently write historical fiction centred on WWI. One novel is with an agent on the grand and glorious search for a publisher. The second novel is in the midst of an edit focused on pacing and the third is somewhere between drafts two and three. Like many writers, I also blog. To understand more about those who read historical fiction, I conducted a survey this spring and to my surprise and delight reached 805 participants. In late April, I began publishing the results at A Writer of History. The process has been fascinating. One significant insight is the extent to which readers consult online sites for book recommendations and an opportunity to ‘chat’ about historical fiction. While more than 150 sites were mentioned by survey participants, readers rated Historical Tapestry in the top four historical fiction blogs. A great accomplishment! For writers like me who are not yet published, the primary issue is discoverability – by agents, publishers, readers and influencers. Hence, I need to think about the brand I project, the time I spend on platform building, how best to connect with those who influence readers, what geographies to target, what products to produce (novels are one product), which channels to use for distributing my work, how to engage with potential readers and what information to collect along the way. The following points outline survey insights followed by changes I plan to make. I have two blogs, A Writer of History (focused on historical fiction) and One Writer’s Voice (focused on the business of writing). Two blogs take significant time to maintain and send confusing messages about my personal brand. Given what I’ve learned about historical fiction readers, I should close down or hibernate One Writer’s Voice. Not an easy decision given the amount of time and energy I’ve invested. Taking the point further, I need to make sure that I post on topics of interest to readers as well as writers. For example, no matter how fascinating I find the topic, readers care little about changes to the publishing industry. Since readers seek help to find stories from the time periods and genres they favour, I should connect with bloggers and writers whose interests include WWI and WWII. Although I have an account, I am not active. I need to decide how to participate with the Goodreads community. 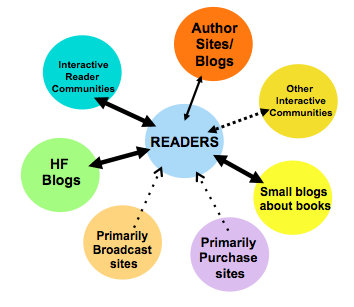 Many readers create blogs as a venue for sharing; others find blogs and participate. Readers are proactive in their pursuit of good books – I need to be equally proactive in engaging with reader communities. Are blogs a venue for unpublished authors? Can I generate interest in my writing by participating, and if so, what’s the right approach? Can I leverage the historical fiction survey to connect with bloggers both short term and long term? I need to determine which trusted communities – blogs, websites, author sites, research communities, and historical sites – are most relevant to my writing interests? Although participation from North America dominated the survey, I saw inklings that readers in different parts of the world connect with local communities. Given the global reach of today’s writers, I plan to investigate communities in various parts of the world. While my novels have themes and plot lines women enjoy, do I have the right balance of war scenes with the kind of story that appeals to women? At this time, novels one and two are difficult to change, however, I can reshape the plot of my third novel. Going forward, I will consider a different time period for my stories. What can I learn from these authors? I have already embarked on a few actions. The first is a series of interviews with top HF authors that are being posted on A Writer of History. The second is to read at least one novel written by each author to understand style, plot lines, character development, the balance and weaving of story and history. I plan to analyze what I discover both to inform my writing and share on my blog. Thinking about my own stories, I wonder whether I need to focus harder on bringing the past to life. Since WWI is not that long ago, I may have failed to bring that time to life through fashion, food, lifestyle, music, language and so on. I believe I have created very real war scenes but perhaps not the same vividness to the home front. 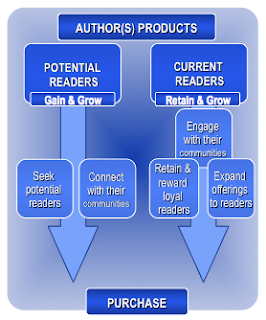 The combination of online purchasing and online recommendations makes the option of self-publishing more viable. Currently I am pursuing traditional publishing. Is it time to rethink this approach? To do so, I need to investigate what is available and the possibility of hiring expertise to help. Unfortunately, the survey did not ask what these readers are looking for which suggests the possibility of another survey to dig deeper into this question to understand implications. Definitely not an action I plan to take in the near term! A final thought – the survey has generated huge interest and has resulted in a wide range of connections with readers, writers, agents, publishers, bloggers and others. I even have an opportunity to speak at the Historical Novel Society conference in London this September. At the moment, I’m not clear how best to leverage the survey for the long term. Should it be an annual or bi-annual event? Are the results worth publishing in a more comprehensive fashion than blog posts? Two questions to ponder further. Writers have to be where potential consumers are and today, that’s online. Time will tell whether or not these are the right actions for my writing career. Thanks Mary, for such a fascinating and in depth post. I would be interested in seeing the results of the survey done every couple of years or so, but I do appreciate that it is a lot of work. Thanks, Mary, for all the information you shared on One Writer's Voice. I'm sure many new books finding readers out there owe your selfless sharing a debt of gratitude. Best wishes for the next cycle! Marg - there may well be another survey and if so, you folks will be asked for input on topics of interest!! Richard - thanks for your good wishes. I'm planning to tighten my focus on historical fiction for a while. I loved blogging about being an author entrepreneur but digging in to understand what makes historical fiction tick is proving equally interesting.